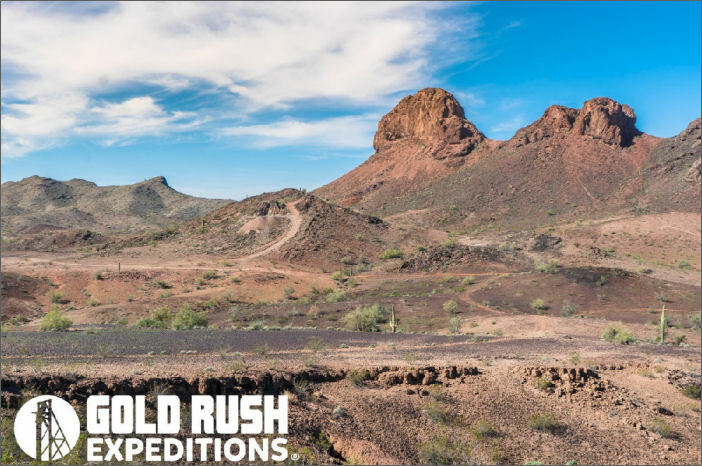 Gold Rush Expeditions, Inc. is proud to present the Historic Four Peaks Gold Mining Claim. 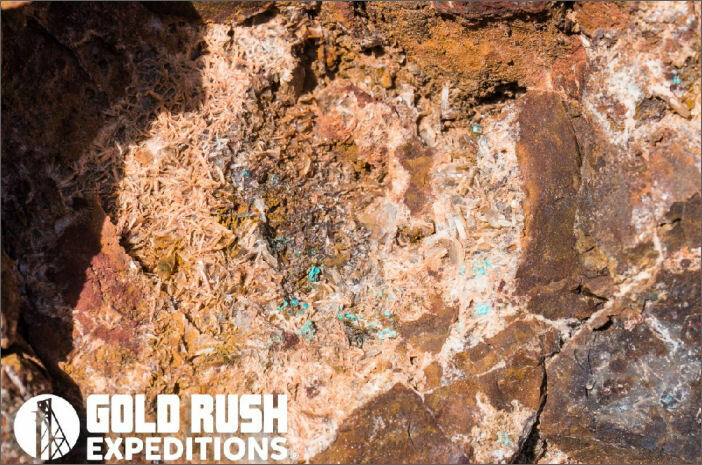 This is a 40 acre lode mining claim and extension for sale exclusively through Gold Rush Expeditions, Inc. The claim is located just outside of Bouse, Arizona and has been properly staked and marked at all corners. All Gold Rush Expeditions, Inc. claims have been meticulously surveyed, mapped and researched. Field work is completed by our own experienced, well versed Mine Survey Team. This is an area that is historically known for its gold production. The Four Peaks is known to have been worked as late as 1979. The road to the claim is excellent and could be traveled by high clearance 2WD assuming dry weather. The roads to the specific mine sites are also in good condition and can be traversed with a good high clearance vehicle or UTV. Mines are reported by USGS to be worked for Copper and Gold. Surveyor assessment found this incorrect due to large waste dumps that were full of high value copper ores. Gold has been worked from quartz and copper minerals discarded. Surveyors located a dime size free-gold sample in a chunk of waste rock from the main shaft. This is a desert mine and can be worked year round. Please note that summer months will be extremely hot with temperatures averaging 110 degrees and often not cooling to less than 80 degrees at night. 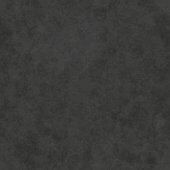 The area is remote and barren. There are no resources. Claim owner should plan to pack in all needed food, water, supplies, and shade.